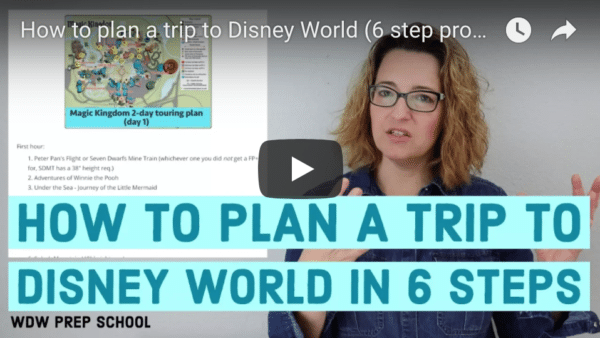 I recently asked people on the Facebook Page for requests for things to design and the most popular request was for invitations that could be used on Disney World trips. I loved that idea and today, I have 3 different DIY options that I think are really fun. Two of these could be done for free and are pretty simple. The third is so charming you might just find it worth the extra steps. I really like this project because it's a free project (unless you have to buy a paper bag) which looks great in the end. First, you need paper to print on. 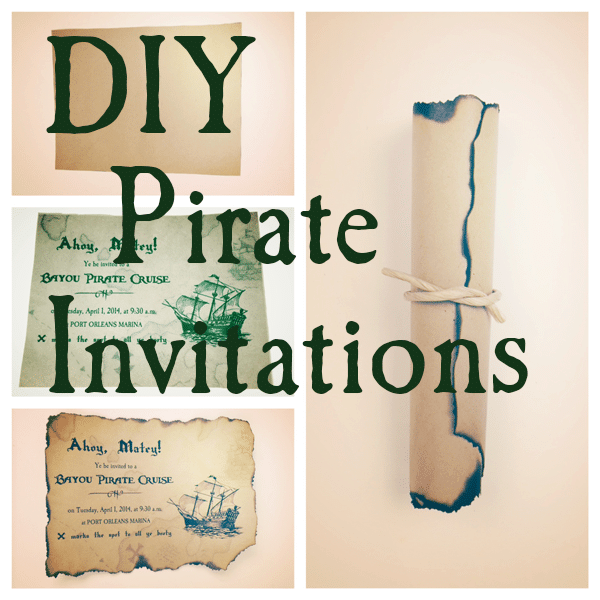 I recommend using a paper bag because the weight and texture make these invites feel more piratey (not an actual word - just go with it for now). I actually bought a 99 cent gift bag because all of the bags I had on hand had logos printed on them. Cut out an 8.5" x 11" section that you can feed through your printer. 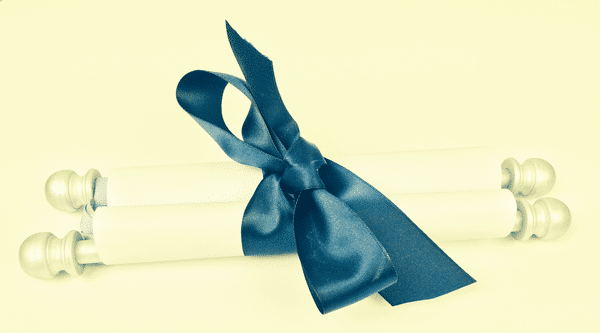 Put your 8.5 x 11" piece of paper bag into the printer and print your invitation. If the background doesn't print, make sure you have background printing turned on within Word. Next, take the paper and burn the edges. When you're holding it, whatever edge is parallel to the floor and at the bottom will show the most black coloring from the flames. Do it in small sections, being sure to blow it out quickly. Finish it off by rolling it up and tying it with a bit of twine or a small leather lace. Since I bought a paper bag, I cut the handle off of the bag and used that to tie up my pirate map invitation. In person, this looks more like a rolled up pirate map and less like something Snoop would smoke. 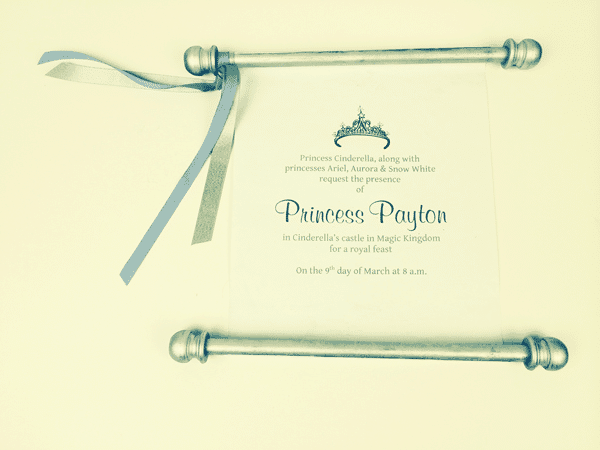 There are lots of princess-themed events at Disney World and these scroll invitations are the perfect way to invite a princess to attend any royal affair. 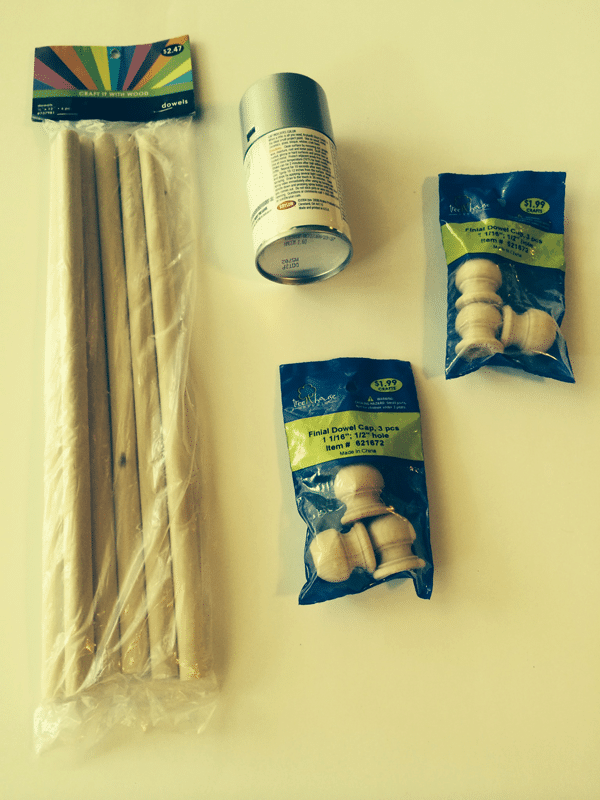 First, you'll need dowel rods and finials. I bought these at Hobby Lobby on the aisle that has lots of wooden supplies. 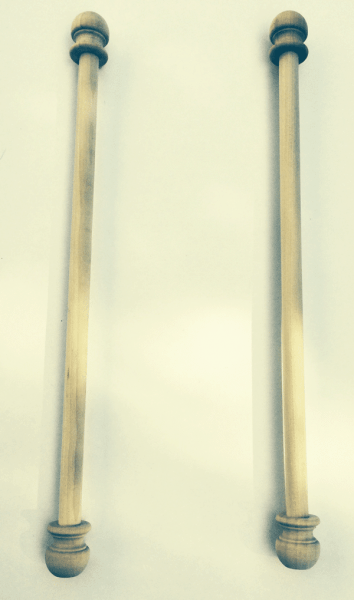 The dowel rods are 1/2 inch in diameter and the finials have 1/2 inch holes. Annoyingly, the finials came in packets of 3 so I had to buy 2 packets to get the 4 that I needed. 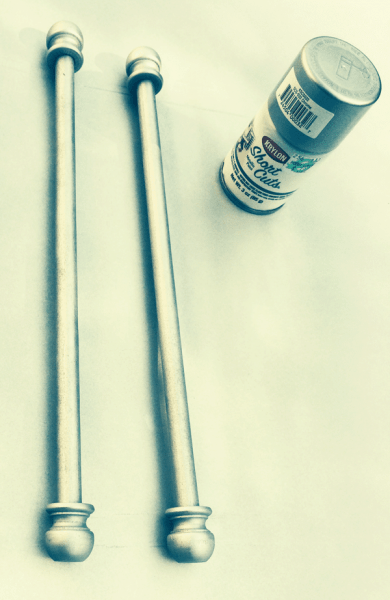 You will also need to make sure you have some paint to use on the dowel rods and finials. I think metallics work best but obviously you can get whatever color makes sense for you. I picked up a small can of silver while I was at Hobby Lobby. FYI: Hobby Lobby lets you show a coupon on your phone so you can get a discount without printing anything. Be sure to check http://m.hobbylobby.com/coupon if you do end up going there to shop so you can save a bit. After you get home, assemble your wooden pieces. I ended up cutting a few inches off of the dowels because it seems to look best when the width is just a bit wider than your paper. If you want to cut it, do it now before you paint. My dowels fit snuggly into 3 of the 4 finials so no additional glue was needed. For the 4th one, I put a bit of wood glue into the finial and put the dowel in and let it dry for a bit. Next, you'll need to paint. Spray with light coats until you have the amount of coverage you'd like. They should be dry to the touch within 30 minutes but I'd give it a bit longer just to be safe. While you're waiting for that to dry, you can work on the text you want to appear on your invitation. Print out the invitation on the paper of your choice. I ended up just using regular printer paper because thicker paper was too difficult to curl around the dowels. You might want to use parchment paper to make it even nicer. Affix the paper to the dowels. I used wood glue but double-sided tape is also a good option. And finally, add ribbon. I put two pieces of narrow ribbon on the top dowel and then used a piece of wider ribbon to tie the whole thing together. 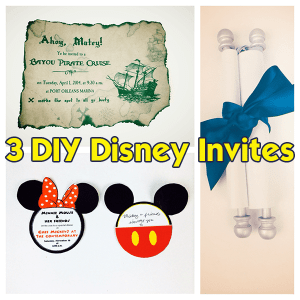 If that last invitation seemed a bit involved to you, this one will be a lot easier. 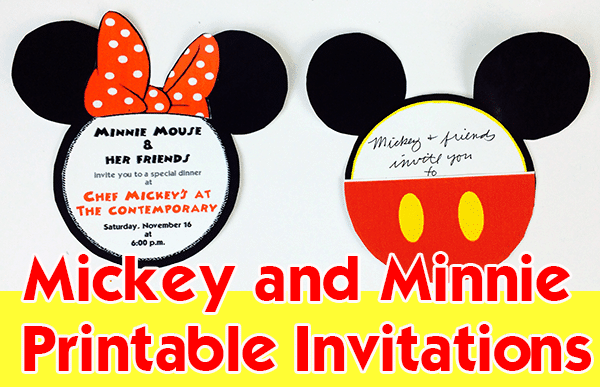 These 2 invites are available in a Mickey and Minnie versions and simple to put together. If you want to write your text on your computer, use the circles included with each version to add some text. 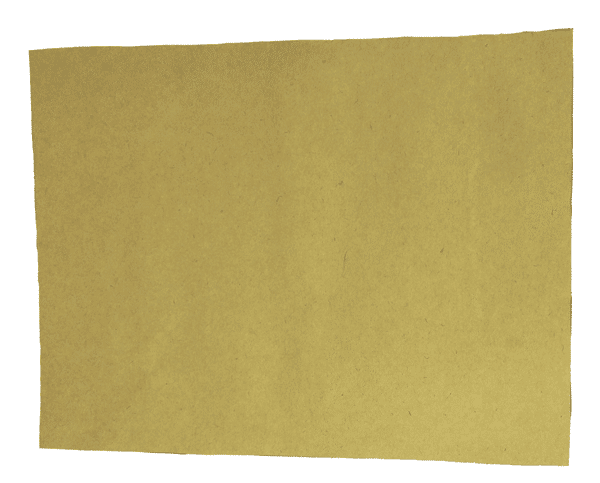 Print out the pieces of the invite. I recommend heavier paper for this if you have it. You could also print it out in grayscale and then trace on to colored paper if you like. Cut out the pieces and assemble. 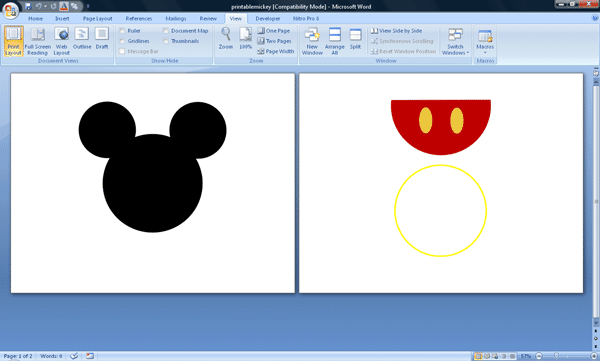 Mickey has the black Mickey head, the bottom red pocket and the white circle to insert inside. 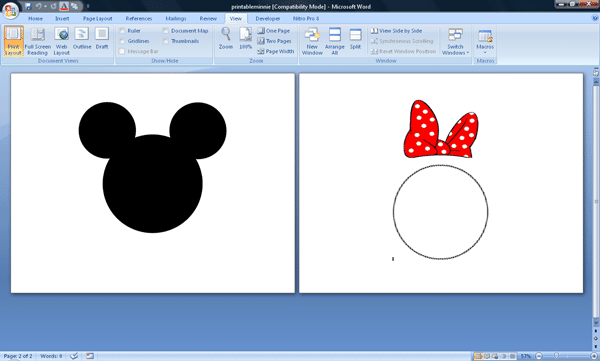 Minnie has the black head, the bow and the circle which you'd affix to the head. I had a lot of fun putting these together and I hope you found something you could use. Do you have suggestions for other styles of invitations I should consider for a future post? Please let me know about it in the comments. 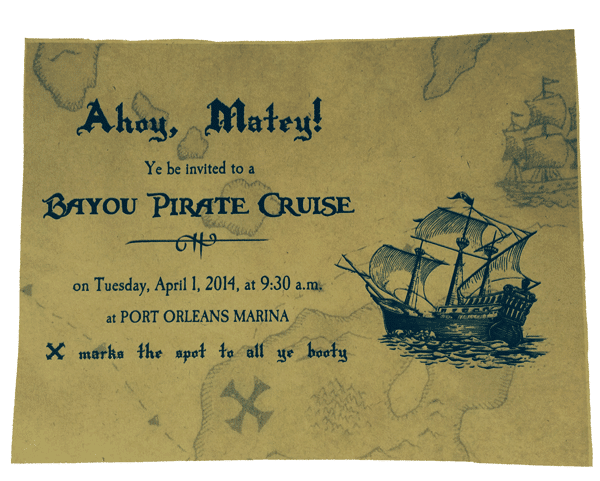 As others have replied, the Pirate invitation was a huge hit when received. I think the Pirates League is a secret, more affordable treasure for both boys and girls in the Magic Kingdom. Thank you Shannon! I think this will add so much fun and magic to our trip this week. 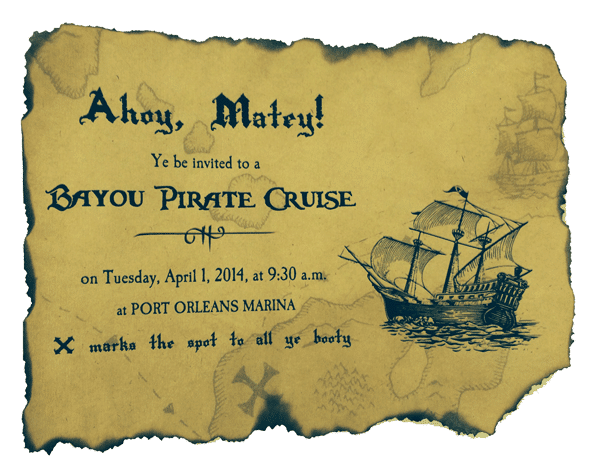 My son is going to freak out over how awesome the pirate invitation looks!! Thank you SO much! Just made the Pirate invite for my son and it came out AMAZING! I never would have thought to use a bag and make it look like a map (creative I am not lol). You are wonderful for sharing this! 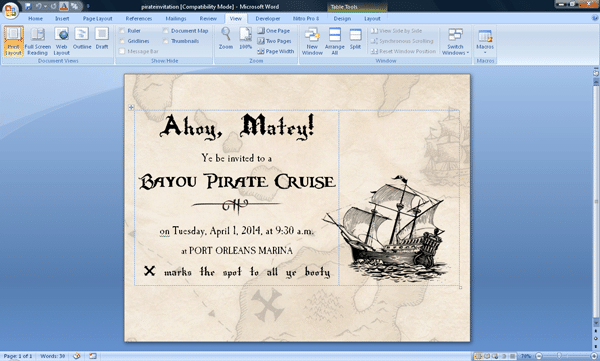 I have an idea for your pirate invitation so you can print on regular paper. Thank you!! Thank you!! Thank you!! Will be making a trip to Hobby Lobby and making the princess scroll. Perfect for Christmas and giving my girls their bibbidi bobbidi boutique appointment! Love!! I love your website & all your tips and ideas. Any hope of a “Tusker/Donald/Safari” template??? 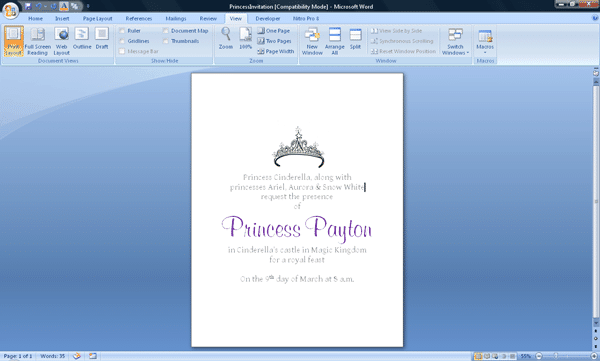 A ‘fast’ idea: I simply printed the ‘scroll’ & will roll it & attach it with ribbon to a crown I bought for my daughter to wear to her Cinderella meal. I love the princess scroll and the Mickey/Minnie mouse as well. I am definitely making these for our trip in February with two little girls. Now you have me thinking about ideas for Pooh(Crystal Palace) and Lilo/Stitch (‘Ohana). Thank you! Dang it! Now I have more things to make for our first trip 😛 JK Love the Princess scrolls since I have 3 girls. You could also use them for BBB appointments. Keep up the great work. LOVE these!! Our elf on the shelf will be coming with us to disney this year (tis the season) and I think he can have fun with these! Thank you!! Too adorable! Love all three! 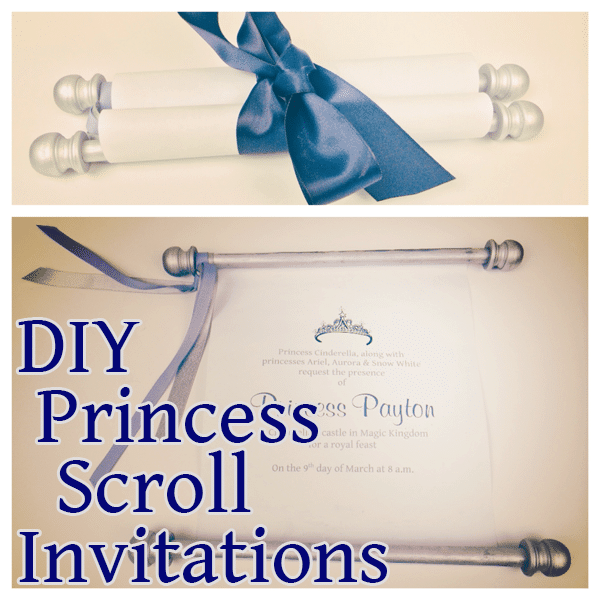 I’m obsessed with the princess scroll! I can’t wait till I can finalize my ADRs so I can make one!